Polysafe is a pre-cast concrete company, producing high quality items to BS EN ISO 9001:2015 standards. The Company was established in 1990, with the main products being linked to the rail network, predominately Level Crossing surfaces. These clearly require a high level of precision manufacture, as well as consistently meeting safety critical standards, to ensure a safe passage for both road and rail users. Polysafe continues to be the leading supplier of level crossing surfaces of this type. Over the years the Company has manufactured a number of specialist pre-cast concrete and polymer products, all to high quality standards. 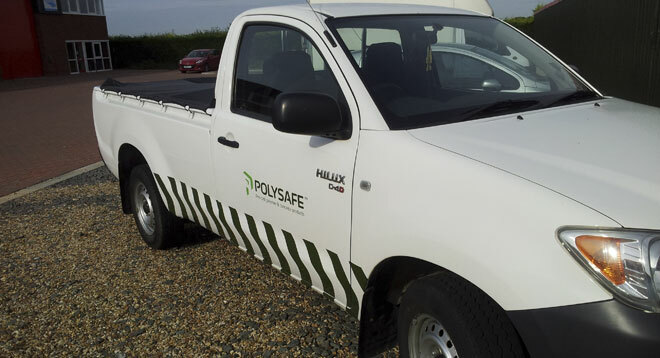 Polysafe Barriers and Blocks makes use of this expertise to provide concrete barriers, concrete barricades and concrete blocks that not only meet client requirements and offer alternative ideas, but are also manufactured to the highest quality standards – all at competitive prices. We have a range of sizes and shapes that means we can help you to deal with your issue flexibly. We recognise that a number of problems do not require huge concrete barriers - many can be solved with smaller products that are still too heavy to be moved easily, but are just as effective as a deterrent. Polysafe use their experience of pre-cast concrete to include reclaimed materials within the products, keeping the Environmental impact in check. As mentioned above we have a range of sizes and shapes, and by using the smallest feasible concrete barrier or block whilst still solving your issue, the overall impact can be reduced further. For further information please browse our website, email us your requirements, or call our Sales Department on 01778 560555.